Is Order-Us a Scam or Legit? Read 9 Reviews! Okay, let’s be blunt. Clicking on Order-us.com is not a pretty sight. 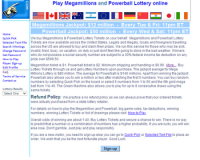 It is awkward and looks more like a programmer’s site, than for players to purchase online lottery tickets. It also doesn’t have the most inspired name but it does seem to make it up to you in simplifying the process of play lotteries online – NOT! They say it is hassle-free, but I found the site uninspiring and generally unfriendly. Where are the pictures? Where’s the color? One of the things that jump out on their Homepage is their “Refund Policy”. There is no refund policy which makes sense, but I don’t understand why they bold it on their homepage. It literally leaps out. I have no idea who Order-us.com is! This is no terms and conditions, no privacy information, no explanation of their history. no phone numbers, address and the only way to contact them is through what looks like an excel formatted online form. Okay, I get it after reading the FAQ that it has something to do with New Jersey and the site abides by the New Jersey state laws on lotteries, but that still doesn’t tell me a lot. I personally love their Q11, Q15, and Q18 under their FAQ – they simply say deleted! Who Can Play at Order-us.com? They really made me nervous with the fact on their home page they stress they purchase Mega Millons and Powerball Lottery tickets on behalf of “legals and illegals, local and foreigners traveling across the US”. Add to this they “run this service for those who may be sick, invalid, tired, busy, on vacation, on duty or just don’t feel like going to the store in bad weather”. Just who are these people targeting as clients? If I am a normal citizen who is healthy and simply thought it would be fun to play a lottery online, can I still be a client? How Do You Play Order-us.com? Registration on Order-us.com is fairly straightforward asking for the usual information. Again, the format for this is very amateurish and does not instill confidence. Order-us.com has a basic $6.99 to deliver your ticket(s). Some people find the concept of ‘receiving’ your ticket positive, but they don’t say how and when you receive it/them, how it is sent or what guarantees you have on receiving it. Keep in mind their NO refund policy. Regarding winning, Order-us.com comments “To survive we either have to increase the price or request a 5% partnership in the prize. This will give us hope that we may win as well.” Okay, whose lottery ticket is it anyways. I’m not sure about the rest of you, but I’m certainly not going to provide my credit card to someone online, where I have no idea where they are or how to contact them except through an online form. But the fact remains, that is all they take. I’m not even going to bother to look. Their “Terms of Service” says it all. I mean seriously. “They are the only ones on the Internet who actually buy the lottery tickets…” Guess that discredits all other online lottery providers. “Conduct true business and charge you less than others; running on a very thin profit margin”, suggests English as a second language. How can you hope to convince somebody to trust you with his/her cash if your presentation is atrocious and your website looks like a failed college project? Four questions on the FAQ page were deleted, but the designers found it more practical to write the word “deleted” instead of renumbering the remaining ones. Anyone with any sense will take one look at this site and steer clear! There are just too many alarm bells going off. This one gets thumbs down! The only thing I can think of saying in their favor is, it’s hard to believe a company would set up a site this amateurish to scam people. In my case they are the one who purchased more than 10000 tickets for power ball and mega millions lottery over a period of 5 years. Very genuine in sending original tickets to outside US and confirmation on all modes. I really miss their service to play the bulged jackpot of 750 millions Power ball lottery. Hope, they will commence their operations very soon. I am going to play 10K tickets for the draw number 623. -They were probably the only one located in the USA. Do you think a company that doesn’t send you your tickets and that is located in some Remote island will pay you back a 500 million price? 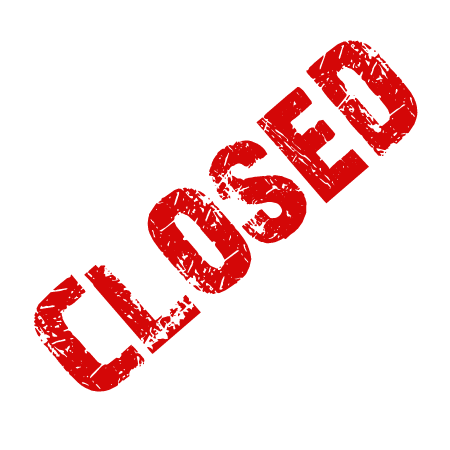 CLOSURE of this site is the sinful work of powerful competitors. I wish that it can be re-opened again. In fact, the lottery commissions should allow order-us.com operators to re-open the site. They were just as beneficial to the lottery commissions as the lottery retailers are and were; only selling to those who were unable to buy the tickets because of their situation. I have purchased tickets from them for 5 or more years and never had a problem, got my tickets on time and I live overseas. I used the service for 4 years and always received the tickets. For some strange reason the site is not currently working. I have used their service for 12 years straight and I must say that they have not failed me, not even once, in sending me my lottery tickets as they promised. Whenever I have had some winnings, I send them my winning tickets, they redeem them and credit the money of my winnings to my account, so I can by more lottery tickets, punctually and accurately. I totally, blindfolded, recommend their service. I have used them for more than 5 years and have never had a problem. I’ve always gotten my tickets in the mail in 3 to 4 days. It’s illegal for anyone in the US to use the US Mail to send lottery tickets anywhere. So the whole business model is illegal. Got my ticket in the mail as promised and post marked before the big draw so all good in my opinion!! Thanks Nick (Silver), I did play occasionally knowing all the pros and cons. I got the ticket whenever I purchased within 15 days (over seas dispatch). I believe there seems to be some Ken Silver with lotto prediction software roaming the net over the period of more than 20 years. I have a strong feeling those who play smart! win the race!